They are far too busy to worry about your concerns. I called in to see about getting a tire fixed and they told me it was no problem and just to come by anytime. When I arrived a gentleman at the desk made a grimacing face when he found out that I did not have an appointment, and told me that they could not say when it would be done, not even 6pm when they close! He said they have so many bookings all the way into the next month so he just didnt know when it would be finished. I let him know that I called and was told me to come down. He just shrugged and made that same face. Less than impressive service. Thankfully I passed Larsens Excel as I left and they were able to book me in for a next day appointment and did not make me feel as though I my time was inconveniencing them. Kal tire has been my go to place for everything tire and rim related for 15+ years. They have always done great quality of work and my review has nothing to do that. Im disappointed that they have decided to change some company policys regarding free change overs (two sets of tires mounted on rims (summers and winters)) they will start charging for the service in the fall. The reason why I have dealt with them and purchased multiple rims and all tires from them is because of the free services they offer after the purchase to their customer. They are not the cheapest shop in town but its always been the value added service. Once this service is gone, Ill be doing research on a new tire shop to spend my money at. Can not honestly give them a star. After purchasing tires as well as making an appointment 8 days in advance I was very disappointed by the experience. The appointment was for 9:30 am, when we got there I was told the vehicle was slotted for 11 am. Now the problem I have with this is that there was no phone call to let me know of the change. I was told it would take 2 hrs but to expect them to be done around 2. As the clock ticked closer to 3 I went to Kal tire to see the vehicle sitting there, how long, not sure, any phone call, once again no. The frustrating part is our day was shot. No apologies, no compensation. Will I use them in the future, very high chance that it will be a NO. I came in from out of town one day and I needed my tires changed over so I went to Kal Tire and they were nice enough to get me in around 3 oclock in the afternoon. They said they would call me when my tires were done.So I went down there at closing time and it still wasnt finished so I sat there and waited and waited and there was a problem with my wheels they wouldnt fit on their balancer properly so they came up with a way to balance them and by the time my truck was done it was 7:30 p.m.way past closing . By far the best service I have gotten from a tire store......would I go back!!!!!! You bet. Cheers and thanks again!!! What a great team! We had car trouble and were towed to Kal Tire. We chose Kal Tire based on our experience with our local Kal Tire back home and also upon the recommendation from the tow truck operator, Steve with Penticton Towing. We cant say enough about the knowledge and speed at which they were able to determine the problem and get us back on the road. Excellent service from Kurt and his crew! Only one word needed to describe the service and knowledge given to me..... Outstanding! Gone into the Penticton Kal Tire store to buy new summer tires, and Kurt not only found tires to fit my 20" rims, he gave me options to consider in the price point I was wanting to spend. My questions were answered with expert knowledge, it was a quick turnover, and Im very happy with the overall experience. Family vacation up to BC and got a flat tire. Went to Kal tire to have it fixed, repair was free even though I have never bought tires there. Kurt was genuine and helpful and the technician in the shop was efficient. Most important, family made it home safe. Thanks for getting me back on the road. 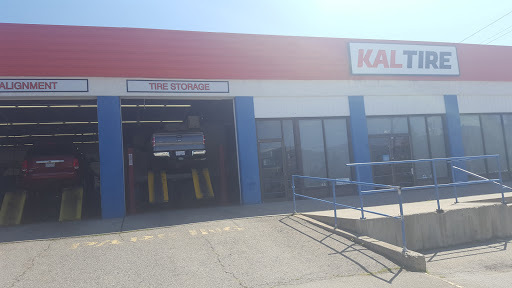 Always a great experience when I go to kaltire in penticton, Gord was amazing, great service, had a problem with my tires & had them replaced within a few days, then day of appointment only took an hour & a half to change them! Great job guys! Totally recommend them for all my tire problems! Cancelled my wheel alignment appointment after my wife drove all the way in from Keremeos. But then redeemed themselves by offering to re-book my appointment another day and do the wheel alignment for free. There is still such a thing as customer service after all. Top notch. Kurt helped get a great set of R2s in good time. He and all his staff were fast, friendly and professional. A+ all round. If you need anything tire related dont even think about it … just contact these guys now. Ive been to this Kal Tire a few times now and they have been great. I can honestly say I trust them to do the work that only needs doing, cause theyve done other work for us at no charge! Seriously!